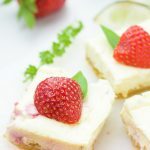 These gluten-free strawberry basil margarita cheesecake squares are the ultimate refreshingly sweet party carb. 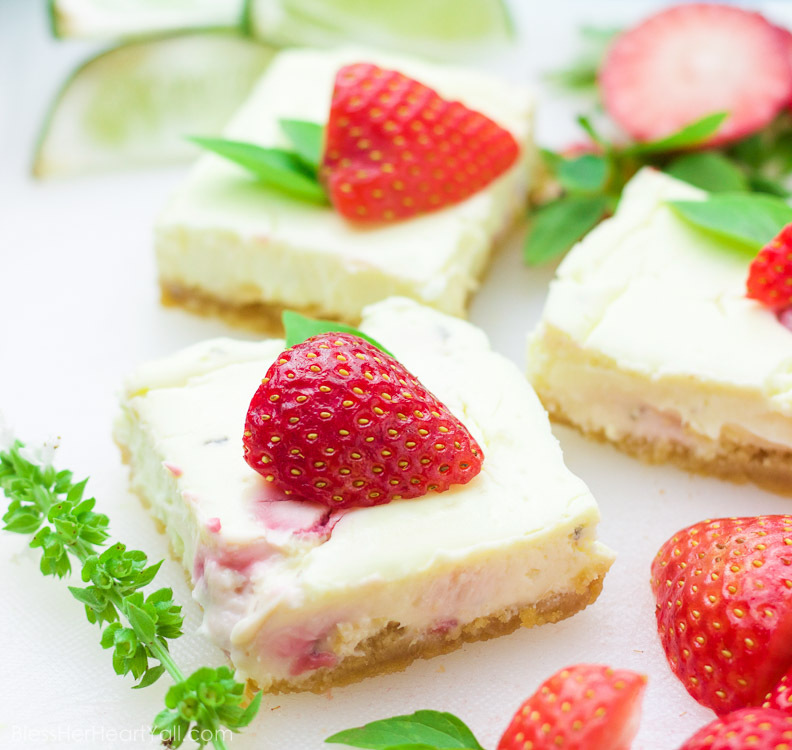 With hints of lime and a splash of tequila, along with fresh chopped basil and strawberries, these cheesecake bites will blow your mind with every sweet and zesty bite! Phew! These last few days have been scorchers. And it’s only June. 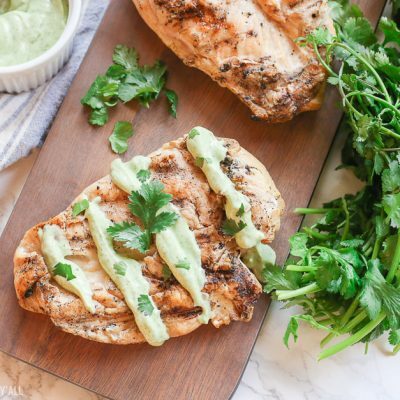 I don’t know about you, but for me, I can’t eat rich or dense foods while I am hot glistening. So no double chocolate fudge something-or-others and no cheese double-stuffed casserole-y wonders during the summer. I need light and refreshing please! Okay, so maybe I have something. Margaritas. Yeah, let’s talk margaritas for a sec. Are they refreshing? Yes. 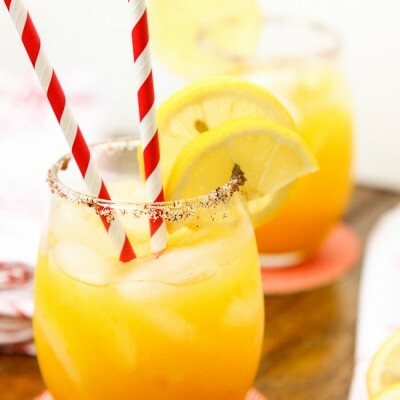 Are they light and perfect to sip by the pool on a hot summer day. Absolutely. Could I potentially turn the popular cocktail into some sort of amazing dessert? I wasn’t sure. But what I was sure about was that it would be a boozy experiment and I was up for that challenge! 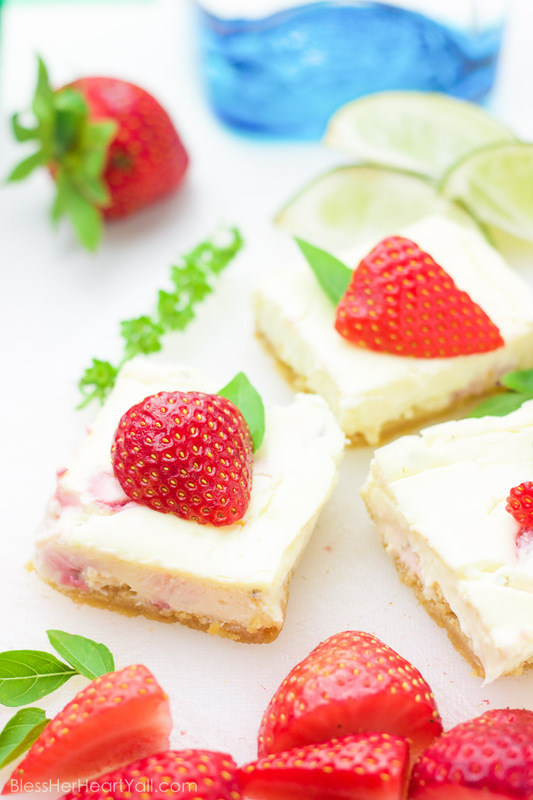 While in the midst of this experiment (with sticky fingers and a slight buzz) I thought that maybe I should go one step further and not only make a gluten-free margarita cheesecake square, but make my favorite strawberry basil margarita into a cheesecake square! 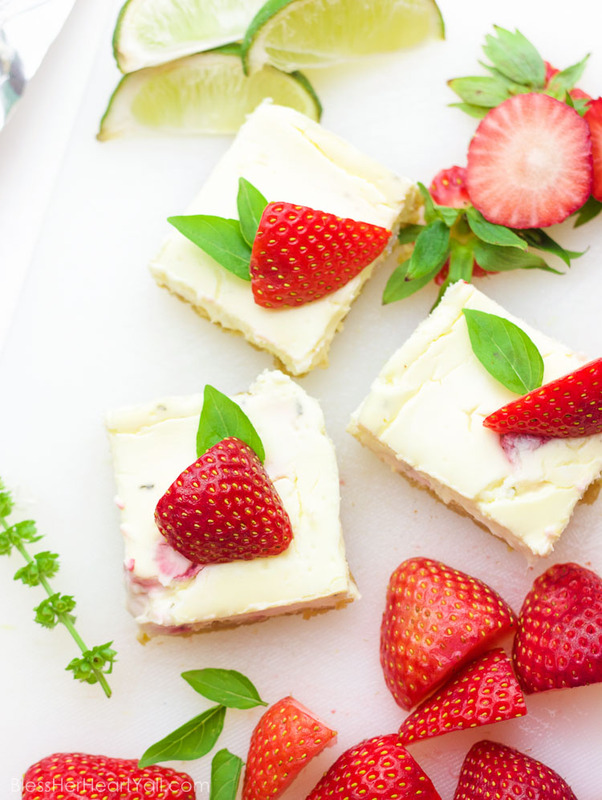 So then I started over again and went to work on these gluten-free strawberry basil margarita cheesecake squares. And it isn’t the booze talking when I say that these little buggers are too good not to make! 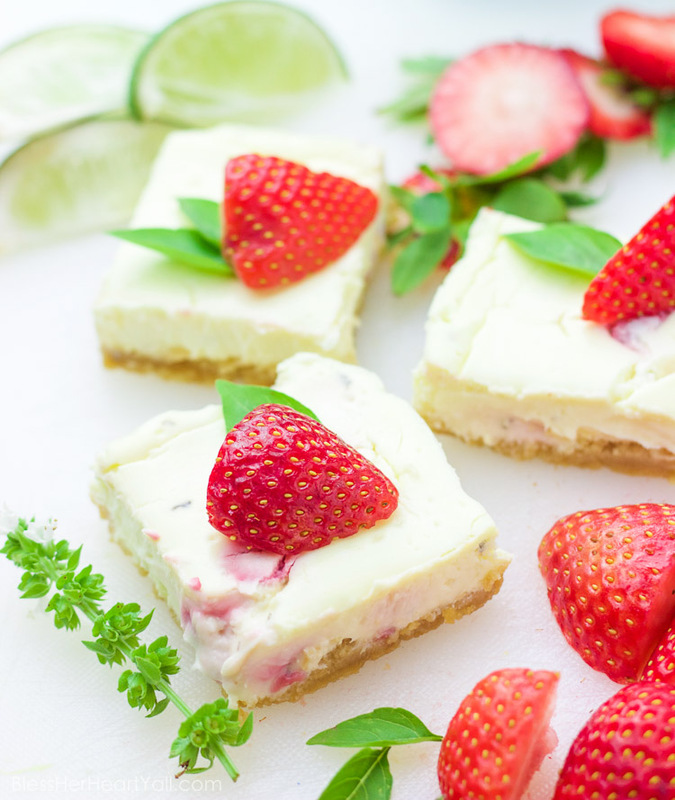 I really like having fresh chopped basil and sweet strawberry chunks in the cheesecake itself, and then of course more basil and strawberry pieces on top of each cute square because can you really have too much basil and strawberry? You can have too much margarita… so don’t go that route. And speaking around that same topic, you can use more or less (or none) of the tequila. These squares still taste margarita-y with any amount of tequila added, but the tequila does add a touch of zest (as well as the lime!). 2-4 TBSP GF tequila depends on your drinking tastes! 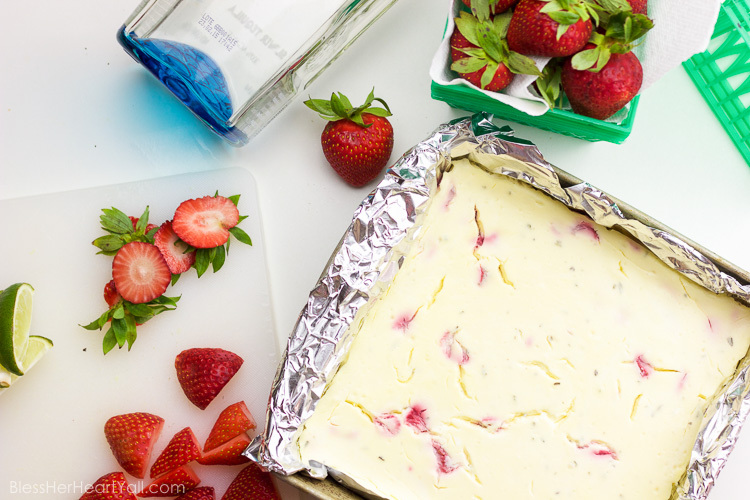 Line a 8 x 8 or 9 x 9 pan with tin foil and spray with GF cooking spray. Combine the melted butter and graham cracker crumbs in a mixing bowl until well combined. Place this mixture into the bottom of the prepared pan and firmly pack and shape the crust mixture into the bottom of the pan. Beat together the sugar and cream cheese until smooth. Add in the lime juice, tequila, and heavy cream until well blended. Beat the eggs into the mixture last. Place the cream cheese mixture into the pan on top of the crust and bake for 20-25 minutes, or until the edges of the cake are solid and the middle is still slightly jiggly. Place in the fridge for 2-4 hours or until completely chilled. 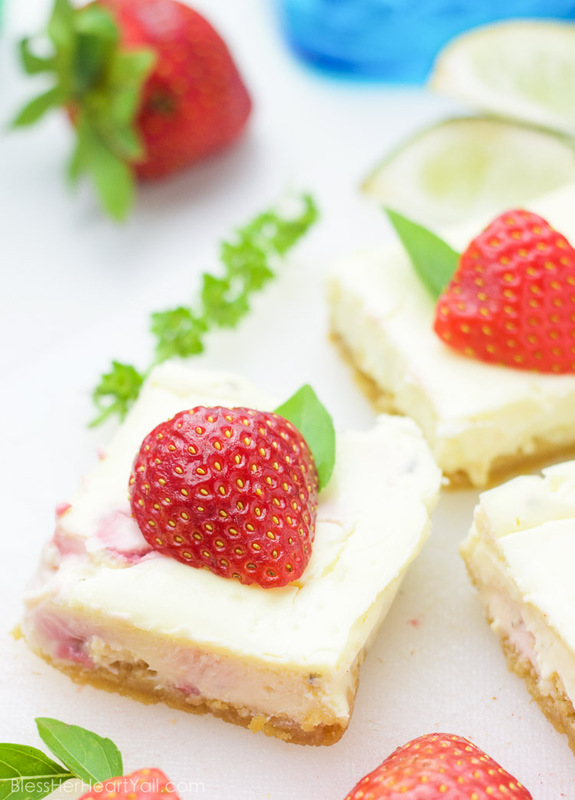 Cut into squares and place a basil leaf and a strawberry half on each square. 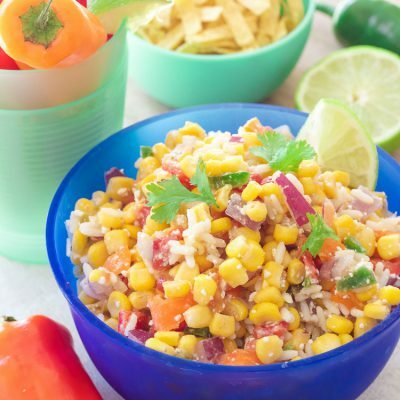 Served chilled and with your favorite margarita!